Host Katie Gordon speaks with Kiran Sood Patel, the new managing editor of The Rapidian. Catalyst Radio is the weekly public affairs radio program of Community Media Center, with co-hosts Michele Fife, Katie Gordon, Jessica Gladden and Jessica Young. The program is a feature of WYCE and The Rapidian and includes interviews with organizations and people working on social change and community support, examines media and free speech issues, and takes a look at the behind-the-scenes of Rapidian reporting. You can catch it on air at noon every Friday on WYCE 88.1 FM or streaming on the Grand Rapids Community Media Center Website. Kiran Sood Patel, new managing editor of The Rapidian, shares stories and insights from her years of journalism and working in media. 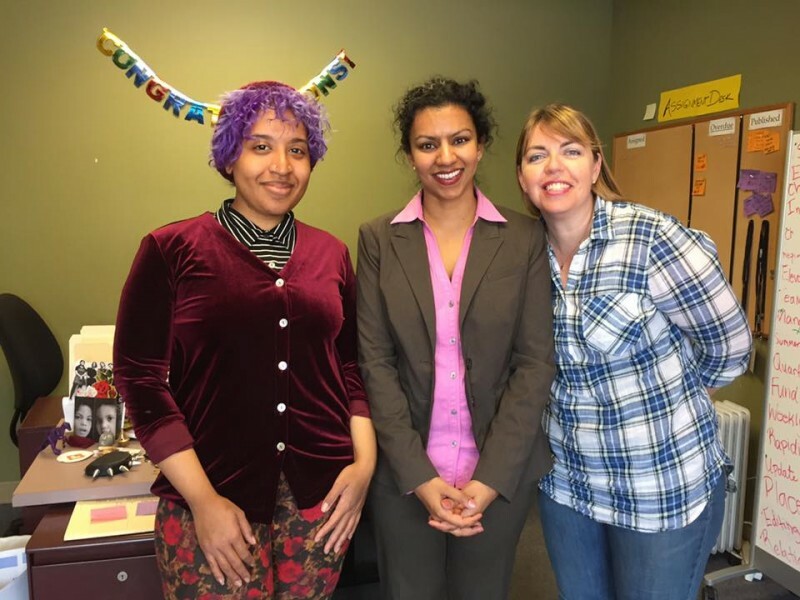 Sood Patel joins the Grand Rapids Community Media Center team with a passion for citizen journalism, expanded community outreach, promoting diversity, and more. Join the Rapidian for their Meet the Editor with the Rapidian event at Brewery Vivant - Thursday, June 23 from 5pm-7pm. Want to listen later? Download audio here.